Dubai is home to some iconic architecture, stunning man-made marvels and hot economic climate that invites thousands of investors and entrepreneurs from around the world each year. Due to its diverse community of expatriates and infallible flow of commerce, Dubai has earned its rating as an 11th most dynamic city in the world. Running a business setup in Dubai is technically incomplete without a brick and mortar presence to vouch for your authenticity. In order to become a legitimate entity and run your business operations in UAE, the Department of Economic Development in Dubai makes it compulsory for your company to have at least a small office space in Dubai. But how do you get a fully-equipped, low-cost and easily accessible office in UAE without wasting your precious business time into the process? We will show you how to get your unique preferences accommodated in your UAE office without spending a fortune or waiting a decade to get it approved. Your office needs to be accessible for clients and near a prime business location in UAE at the same time. There is at least a ton of paperwork involved in setting up your office, but business centers in UAE offer various services to set up serviced offices and meeting rooms for companies. To get started, you must first decide where your office location should be. This depends on the type of trade license you hold and the legal jurisdiction of your business setups such as mainland, Free zone or Offshore company. We recommend getting serviced office in UAE mainland location through a Business center since it is the fastest means to setting up an operation working space. Now, you will need various vendors to avail facilities such as communication services; internet and Wi-Fi, cleaning, maintenance and even a handyman to change the light bulb every now and then. Business centers offer all these facilities in integrated packages to minimize setup costs and populate their office space with foreign companies. You can get your furniture and other necessary office equipment from IKEA or Dragon Mart with some great deals. Everything from work desk to the coffee machine can be purchased in Dubai at some exceptionally good prices since most goods are duty-free. You can set up your own customized theme through interior design vendors, or used a furnished office to avoid the hassle, whichever floats your boat. Dubai is filled with a diverse expatriate community so hiring a dedicated workforce for your business tasks will never pose an issue in the cosmopolitan. However, to find more skilled or specialized staff, you can hire a business consulting agency to outsource employees from other countries. This gives you more professional and personalized staff, while the consulting agency handles their visa and work permits. 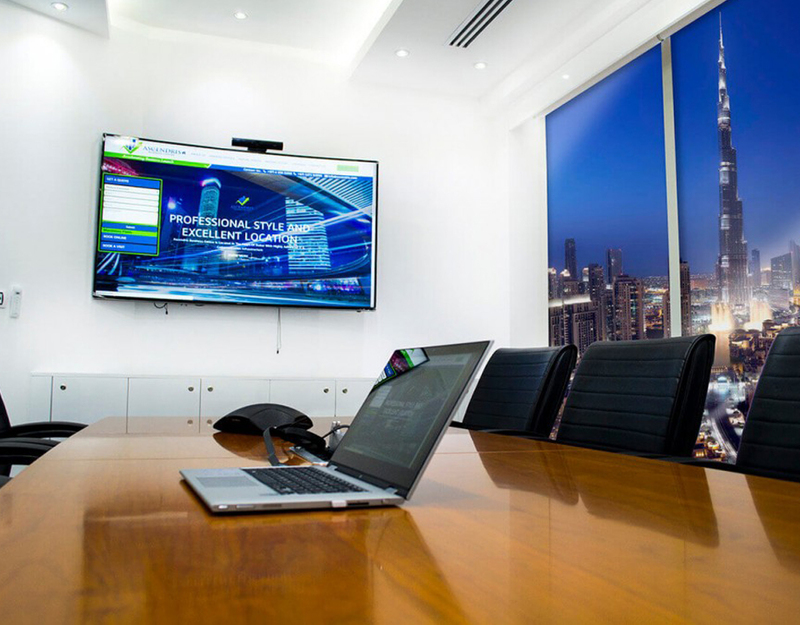 Why Setting Up Office through Business Centers in Dubai is Faster? Why an office in business centers in Dubai is an ideal option because your company is liberated from maintenance costs and other day-to-day expenses of running a self-owned office. The cost of renting an independent office space is relatively high compared to renting an office space in business centers. When you have a tight budget for your startup, you need all the help you can get to save your expenses and erect a Ready-to-Go office with all the necessary facilities. Everything from Infrastructure, furniture, workforce, interior and several other services are included by Dubai business consulting companies in their packages. You can just walk-in and get down to business from day one with it.